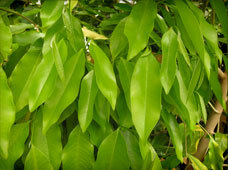 Scented Mountain is pleased to offer the world's first cultivated agarwood products. Agarwood, also called aloeswood (in religious texts), gaharu (in Indonesia, Malaysia and Papua New Guinea), jin-koh (in Japan), Ch´en Hsiang or Ch´en Xiang (in China), Chim-Hyuang (in Korea) and oud (in the Middle East), is a resin produced inside a tropical rainforest tree called Aquilaria. The dark resinous wood has a magnificent aroma when burned. It is considered the finest natural incense and has been used for cultural, religious and medicinal purposes for millennia. Agarwood was traded from Asia to the Middle East in ancient times and its long history of use is cited in the bible and other early religious texts. This rare and exquisite resinous wood, coveted by Kings and royalty, is now available for everyone to enjoy. 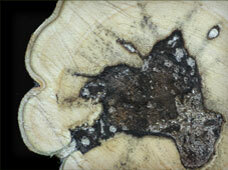 Until recently, the only source of agarwood was from old growth trees growing in tropical rainforests of Asia. It takes decades to hundreds of years to form. With less than one tree per hundred producing the resin and no way of knowing which trees have the resinous wood, indiscriminate cutting has resulted in very few old growth Aquilaria trees remaining in the wild. Although protected by law in most countries and by international treaties, illegal poaching still occurs and old growth trees are endangered. 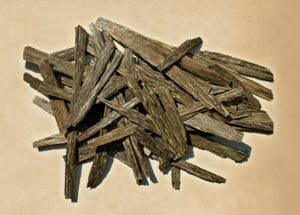 Most authentic agarwood on the market is from rare, old trees cut illegally. Conservation groups and international organizations have mounted efforts to inform consumers of the environmental problems associated with buying agarwood products that originate from wild forest grown trees. Many other agarwood incense products offered for sale are fake substitutes containing a blend of other herbaceous materials and do not have the true fragrance of agarwood. 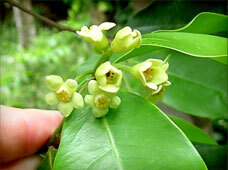 Scented Mountain cultivated agarwood products are different. Based on research from scientific investigations carried out over more than a decade by the Agarwood Research Project at the University of Minnesota in cooperation with the Rainforest Project Foundation, methods to cultivated agarwood have been developed and it can now be produced in a sustainable way in plantation grown trees. These trees are farmed in the mountains of southern Vietnam and products from them will provide a new economy for poor rural people. Scented Mountain is proud to offer fine cultivated agarwood products for you to enjoy with peace of mind knowing it is certified as grown from sustainable plantations. The mystery of how agarwood forms in trees has been solved and the scent of agarwood, missing from the mountains of Southeast Asia for many years, has returned. 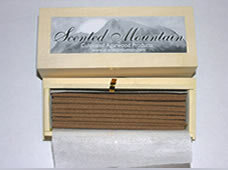 Enjoy the ancient scent of the mountains with this wonderful aromatic incense from Scented Mountain Cultivated Agarwood Products. Copyright Scented Mountain. All Rights Reserved.